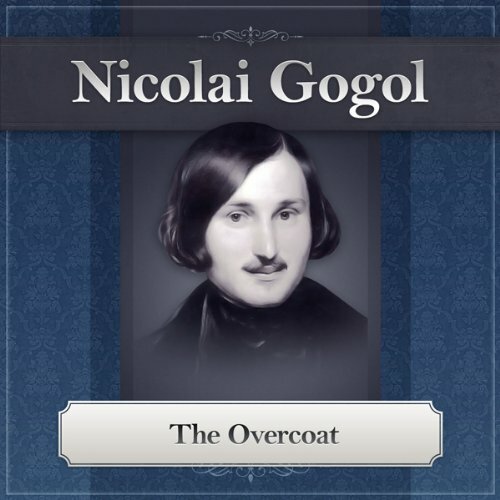 Fyodor Dostoevsky, the author of Crime and Punishment, once said, “We all come out from Gogol's 'The Overcoat.'" The story centers on an impoverished clerk who is dedicated to his job as a routine copyist but not recognized for his hard work. Younger clerks mock him for his dedication. His threadbare overcoat is mocked as well. He saves up to buy a new one and wears it for one glorious evening, only to have it stolen that night. He dies soon after from his great loss. Thereafter, his ghost is reported to haunt that part of St. Petersburg where the coat was stolen. This is a classic story about Russian poverty, written with homour and irony. The reader lumbers through either reading too quickly or stumbling over the words & the intonation is so inappropriate in places that it is really hard to follow some of the complex sentences. It sounds seriously under-rehearsed and the humour and subtlety is lost in the clumsy, heavy-handed rendition. The most annoying thing is that he gets the main character's name wrong every single time (it's Akaky Akakievich, not Aky Akievich).Did nobody listen to this before accepting it? Awful! The reading is not great but the story and the narrator’s explanation of it overcome this. A useful introduction to Gogol. superb short story very well read. What made the experience of listening to The Overcoat the most enjoyable? What other book might you compare The Overcoat to, and why? What about Deaver Brown’s performance did you like? Is ambition a grievous thing? The wonderful classic would have been more captivating if read by the computer using Text-to-Speech. Whoever elected this narrator should seriously reconsider their idea of entertainment. It should come with a warning saying "Do not listen to this recording while operating heavy machinery." Terrible. Obviously, I didn't finish it, and would be ELATED to get a refund!!!!!!!!! I'm going to email Audible and request one. BLECH! BOO! BORING!!!!!!! In order to be a success at a particular occupation or profession there are two important qualities one must possess: desire and ability. After 3 minutes of listening to this recording of one of the most respected of Russian short stories of the 19th century, it became quite clear that our narrator was sadly deficient in the latter quality. And though a listener, like myself, would be hard-pressed to judge one’s “desire”, being a quality hidden within, I can truly admit that I will never again purchase an audiobook from here without first listening to the sample provided. Fortunately, the price was low enough to justify purchasing another immediately and was thus able to mitigate my “buyers remorse”. Truly a case of mistaken profession. Hopefully our narrator is of an age that will allow him to find something more suitable to his talents. Yet if he must persist, it goes without saying that his listeners would find themselves much less annoyed or agitated if he read silently.....to himself.